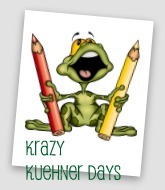 Krazy Kuehner Days: Lydia's fleece blanket kit. So we got this fleece blanket kit at Walmart last Spring and was saving it until it started getting cold. We got it out yesterday and started Lydia's. She cut the top layer of fleece and I did the bottom layer. She had trouble cutting the thick fabric. She practiced tieing, but got very frustrated. So we just kept trying. She gave up, but we got it done tonight while watching a movie. It is beautiful!